A native of Buenos Aires, the multi-talented Martín Palmeri is a pianist, composer, choirmaster and conductor. His many compositions include operas, choral and instrumental works which have been performed throughout South America and Europe as well as here in America. Originating in the 1880s among the poor and disadvantaged in the melting pot city of Buenos Aires, the Argentine tango eventually spread to the upper class and then to Europe and North America by the early 1900's. The contemporary tango music of Argentina is much more varied than the ballroom tango we are accustomed to, with many great artists and famed orchestras developing their own distinctive styles in order to stand out from each other. Today in Buenos Aires tango music and dance can be found everywhere and is a major attraction for locals and tourists. Many of the tango musicians of the 1940s are still playing to packed houses. Tango is danced until dawn in many bars on the weekends, as well as street corners and public plazas on Sundays. 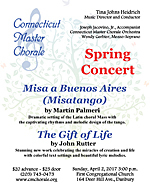 Influenced by the superlative tango orchestras all around him, Palmeri added inspiration from the classical tradition and created this remarkable setting of the Latin Mass as a tribute to his country. He describes his work as "an experiment of mixing these two different worlds" and believes that it answers a need for sacred music in modern society. 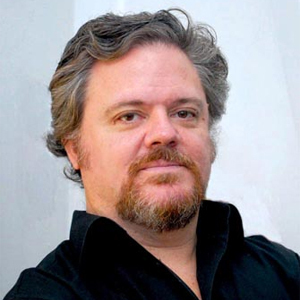 First performed in 1996, Misa a Buenos Aires is Palmeri's most popular work so far. In recent years he has played the piano and conducted the Misatango in Germany, Argentina, Brazil, Belgium, Chile, Equador, Slovakia, Spain, the Netherlands, Israel, Italy, Latvia, Lithuania, Russia, Switzerland and the United States. It has also been performed by renowned orchestras around the world, and had the honor of being selected to open the twelfth annual International Festival of Sacred Music in Rome in 2013, which was dedicated to Pope Francis, who is known to be a great fan of tango music. 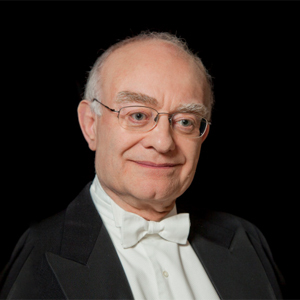 British composer and conductor John Rutter has been called the most gifted composer of his generation. He wrote his first published compositions and conducted his first recording while still a student at Clare College, Cambridge, and has gone on to an impressive career in composition that includes large and small choral works, orchestral and instrumental works; a piano concerto; two operas for children; music for television, and a vast number of commissioned works for specific artists and important occasions, including Royal weddings and birthdays. Mr. Rutter has long been a favorite of the Chorale, and we have been honored to perform twice at Carnegie Hall with him conducting his own works. We found him to be a kind and pleasant man who welcomed us and shared wonderful insights into his music. Presently regarded as Britain's most beloved composer, he wrote The Gift of Life during his seventieth birthday year and describes it as "an important statement, all about life and celebrating life". On his birthday he said that he "is still 27 inside" and "has enjoyed every minute of his life in music". When he was asked to look back on his career, he responded that he is looking forward, not backward, and hopes to continue to enrich the lives of people who hear his music. This new work is his priceless gift to the world, a lyrical glorification of humanity, reflecting different facets of the miracles of creation and life. John Rutter's glorious opening to The Gift of Life is a beautiful setting of the Benedicite in the 1662 Book of Common Prayer, a canticle used in the Roman Catholic, Anglican and Lutheran Liturgy. Also known as A Song of Creation and Canticle of the Three Holy Children, it contains Old Testament Bible passages from the Book of Daniel and Psalm 148. He ends with a magnificent new arrangement of the Doxology, a traditional hymn of praise sung to the Holy Trinity: the Father, the Son, and the Holy Spirit. Also known as Jesus Christ the Apple Tree and Christ Compared to an Apple-Tree, the text was once assumed to be American because it was first found in the Collection of Joshua Smith, New Hampshire (1784). It was published in London Spiritual Magazine, in August 1761, with R. H. credited as the submitter and presumed to be the author, but his identity was unknown. Recent research reveals that R. H. was Richard Hutchins, a Calvinist Baptist Minister who served at Long Buckby, Northamptonshire, England from 1759 to 1765. It has been set to music by a number of composers, but this lovely lyrical setting by Mr. Rutter is simply sublime. 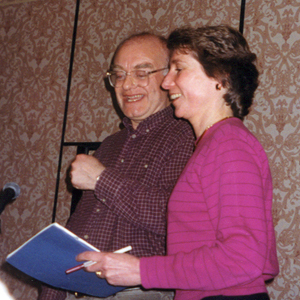 Mr. Rutter included a piece that he had written in 1992 as the third number in this work. We have chosen to substitute one of our John Rutter favorites that is also appropriate to the overall theme. The text is by Folliott Sandford Pierpont (1835-1917), a classics scholar, schoolmaster, hymnist and poet who was born in Bath, England and spent most of his life there. Enthralled by the beautiful countryside all around him, he wrote For the beauty of the earth when he was 29 years old. It was first published in Orby Shipley's Lyra Eucharistica, a collection of hymns and poems in 1864. It has been set to many different tunes over the years, but this inspired setting by Rutter, with its delicate phrasing and enchanting melody, is outstanding. With both words and music by John Rutter, his reflective text begins, "The gift of each day rising out of darkness: the promise of light and the birth of new life, the dawn of new hope and a new beginning, if we turn to the light." This memorable theme of hope and thankfulness reveals his innermost thoughts and expresses them with the exquisite melodic style that is his gift to us all. Also with words and music by Rutter, "Believe in life as a stream ever flowing; Believe in life as a tree ever growing: The tree of life, with its branches high in the sky and its roots so deep in the earth." This stunning work paints a lyrical portrait of life nature and renewal that will always be with us, with his deeply expressive language and sensitive musicality. Opening with Psalm 104, which depicts the magnitude of God's creations, the powerful descriptions are enhanced by John Rutter's dynamic setting. His own words reflecting on the gifts of God's creation and glorifying "Him who reigns in endless glory...who was and is and ever shall be, through eternity the same, Amen! ", combine with his magnificent score to create an ending of great exultation! Our program today is dedicated to Dante Galuppo. 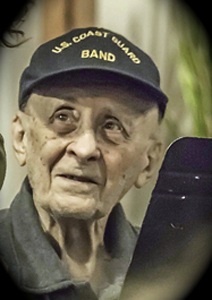 A trombonist with the Waterbury Symphony beginning when he was a sixteen-year-old high school student, he was the instrumental contractor for many organizations in Connecticut since 1949. He was our instrumental Personnel Manager since our first concert 18 years ago, and a very special person who always took extra care to provide us with the very best musicians. We especially miss his presence here today.